Perfluoroalkyl Substances (PFAS) – What are they and how do they affect me? Perfluoroalkyl substances (PFAS) represent a group of man-made fluorinated organic compounds that are highly stable and persistent in the environment. These compounds have been used in industrial applications and consumer products since the 1950s, and many different PFAS have been detected in environmental media, food, biota and human serum. However, the presence of PFAS within environmental samples was not widely reported until the late 1990s and early 2000s. Perfluorooctanoic acid (PFOA) and perfluorooctane sulfonate (PFOS) are both chemicals within the PFAS family, and are the most well characterized. PFOA, PFOS and other PFAS compounds were previously imported and used in Canada – as recently as the late 1990s, Canada imported 600 tonnes of PFAS for use in the surface treatment of textiles, leathers, fibres and carpets as stain- and water-repellants; for water and grease repellency in food packaging materials, and as fire-fighting foams, additives to photographic films, hydraulic fuels, electronics, surfactants, and acid mist suppressants, among other things. In addition to PFOA and PFOS, there are several other PFAS compounds (short- and long-chain acids), and many different precursors of these PFAS compounds. The length of the fluorinated carbon chain contributes to the spectrum of physicochemical properties of substances within the PFAS family that influence both environmental transport and accumulation patterns, bioavailability and toxicity. The Organization for Economic Cooperation and Development (the OECD) has recently created a publicly available Comprehensive Global Database of Per- and Polyfluoroalkyl Substances (PFASs), where over 4,000 different compounds have been listed according to Chemical Abstract Service (CAS) Registry Number and structural groupings. The primary sources of PFAS in the Canadian environment are the result of historical uses or current discharges related to the use of fire-fighting foams or imported products. Am I exposed to them? Yes, because they are everywhere. But what PFAS substances and at what levels can vary from region to region, and in relation to behaviour (e.g. food consumption patterns). Food consumption has been determined to be a primary pathway of exposure to PFAS for people, with some contributions from drinking water, house dust and consumer products. Fish, followed by meat, milk (including breast milk), plants and grains have all been found to contain PFOA and PFOS and other PFAS. In Canada, our food comes from many different places, and a result, our exposure can vary. PFAS have been detected in various consumer products and packaging materials, wastewater effluent, biosolids, drinking water, surface and groundwater, soil and sediment. All of these media and the pathways they introduce can influence exposures to humans and wildlife. People who work in industries that involve the use of certain products such fire-fighting foams (e.g. airports, military bases) or other industries where products containing PFAS may be encountered (e.g. adhesives, chrome plating, paper-coatings and packaging, electronics manufacturing, and landfills (EPA 2018) may have higher levels of PFAS exposures. On-going monitoring initiatives for some PFAS are in place in Canada, the US, Europe and Australia, as well as in other areas. However, there are notable data gaps for many regions of the world with respect to PFOA and PFOS in environmental media. What are the potential effects on health and the environment? The study of PFAS toxicity is emerging, with new studies published regularly. In humans and animals, changes in the immune system, thyroid hormones, pancreatic function, growth, learning and behaviour have been reported in some studies with certain PFAS. Much of this information comes from animal data or in people who have been exposed occupationally to high levels. The weight of evidence regarding exposure and human health effects is evolving. In wild birds and animals, adverse effects on the liver have been reported in various bird species and in rats. Endocrine and reproductive effects have been observed in various bird species. For aquatic organisms, the potential effects include decreased survival, altered growth and development. Decreased plant growth has been reported in plants grown in PFAS contaminated soils. Monitoring studies have reported that fish accumulate PFAS more readily than other organisms such as plants and mammals, and this has been thought to be due to protein content and metabolic differences between fish and mammals. The trophic level (i.e., “where in the food chain”) also influences its potential for PFAS accumulation, as do the characteristics of the area where the fish is found (feeding behaviours, presence of organic matter, exposure to sediment, water concentrations, presence of precursors, etc.). The potential variability in protein, lipid and water content between all living tissues may influence the accumulation of PFAS in all organisms. Can you test for them? PFAS precursors can be transformed into PFAS in some media under some conditions, contributing to analytical uncertainty. The US EPA has developed methods to measure 14 PFAS in drinking water, and is monitoring PFAS at a national level. Are they included in risk assessments? Yes, it is becoming more common, primarily at sites where PFAS impacts have been known or suspected, such as sites impacted by fire-fighting foams (e.g. airports, military sites), landfills, or areas impacted by industrial discharges. In many other instances, analysis for PFAS may not have been completed. Contaminated site risk assessment of PFAS is complicated, as they do not behave the same way as other persistent organic compounds (such as PCBs). Other persistent organics tend to accumulate in fat, and there is a lot of information regarding their accumulation potential, as well as calculated transfer factors and exposure models. For PFAS, the concentrations of PFAS in environmental media and in the tissues of vertebrates and invertebrates vary by substance, species, trophic level and region. As additional monitoring data are collected at national and regional levels, background exposure levels to PFAS will be better defined. The regulatory climate surrounding PFAS is evolving as regulators catch up to the science. Within the last 10 years, several governmental organizations have classified long-chain PFAS as persistent, bioaccumulative and toxic, and several measures to reduce the release of these PFAS compounds have been put in place. Not all international governments have implemented restrictions, and products manufactured in other parts of the world containing these compounds are still imported into Canada, the US and Europe. In Canada, a surface water guideline for PFOS for the protection of aquatic life was finalized in June 2018 and draft, health-based drinking water guidelines have been developed for PFOA and PFOS. In addition, drinking water screening values have been developed for seven other PFAS compounds. In addition, Environment Canada has developed fish and wildlife (consumers of aquatic biota) dietary guidelines and tissue quality guidelines for bird eggs for PFOS. The British Columbia Ministry of the Environment has developed guidelines for PFOA and PFOS, released as part of the Stage 10 amendment to the Contaminated Sites Regulation. Recently, Health Canada released a memorandum in early 2018 outlining a recommended approach for human health risk assessment of PFAS compounds at contaminated sites. In the US, The United States Environmental Protection Agency (US EPA) has not developed National Primary Drinking Water Regulations (NPDWR) or formal soil quality guidelines for PFAS, but is currently involved in many initiatives related to the monitoring, management, treatment and toxicity of PFAS. Various US States have recently issued fish consumption advisories for PFOS. Australia has derived health-based criteria for PFOA, PFOS and perfluorohexane sulfonate (PFHxS). 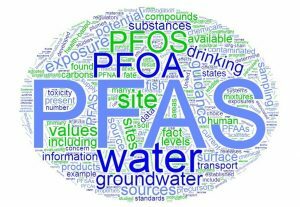 What impacts can PFAS have at contaminated sites? Reliable and sensitive analytical methods are still evolving, with some only recently having been developed. With the development of new methods with lower detection limits, it is possible that PFAS are more prevalent in the environment than is currently known. For some sites with suspected impacts, PFAS may have been tested for, but as more PFAS methods are developed with lower detection limits, and tests for PFAS precursors are developed, it may become apparent that contamination is more widespread than previously thought. This may have an impact on both site remediation and environmental liability. Regulations are being developed for PFOA and PFOS by various agencies. In Canada, Federal Environmental Quality Guidelines (FEQGs) for PFOS were finalized in June 2018, and include PFOS guidelines for aquatic life, mammalian and avian consumer of aquatic biota, and acceptable contaminant levels in bird eggs. These and the upcoming finalization of PFAS drinking water regulations in Canada and the US, may have an impact on contaminated sites, as concentrations of PFOA and PFOS may be identified at sites in exceedance of these new criteria, possibly resulting in the need for additional monitoring, delineation and remediation. 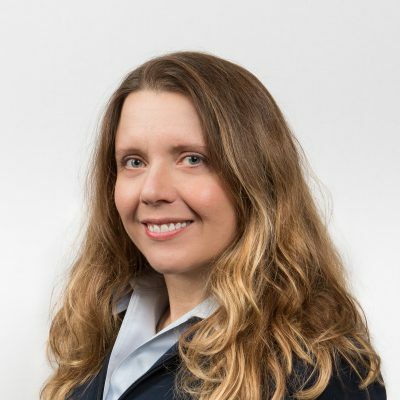 For more information on how Intrinsik can help your company understand PFAS, please contact Karen Phillipps, Senior Scientist at 1-403-984-5795 or Elliot Sigal, Senior Toxicologist and Vice President at 1-905-364-7800. Intrinsik Corp. Bloggers: Karen Phillipps, M.Sc., DABT, ERT, Senior Scientist and Elliot Sigal, B.Sc., QPRA, ERT, Senior Toxicologist and Vice President. BC MOE (British Columbia Ministry of the Environment). Administrative Bulletin for Contaminated Sites – Errata for the Stage 10 (Omnibus) Amendment to the Contaminated Sites Regulation. Version 3. HC (Health Canada). 2013. Second Report on Human Biomonitoring of Environmental Chemicals in Canada. Results of the Canadian Health Measures Survey Cycle 2 (2009-2011). April 2013. HC Publication No. 130019. ISBN: 978-1-100-22140-3. HC (Health Canada). 2016. Perfluorooctanoic Acid (PFOA) in Drinking Water Document for Public Consultation Prepared by the Federal-Provincial-Territorial Committee on Drinking Water. Health Canada. 2018. Memorandum – Human Health Risk Assessment Framework for Federal Sites Impacted with Perfluoroalkylated Substances. Organization for Economic Cooperation and Development (OECD). 2015. Risk Reduction Approaches for PFASS – A Cross-Country Analysis. Prepared by the Inter-Organization Programme for the Sound Management of Chemicals. OECD Environment, Health and Safety Publications Series on Risk Management. No. 29. Paris. 2015.